Although representing only a small fraction of the total soil mass, colloids or coatings constitute a significant fraction of the surface available for interactions between soil particulates and dissolved metals. Surface complexation modelling is the method of choice today to mimic, predict and understand also acid/base and metal binding properties of oxide surfaces in soils. It is well known that Fe oxides and organic matter coexist in soils and serve together as a reactive adsorbent pool for trace metals, due to their high surface area and high reactivity associated with a variety of functional groups. Both groups of soil compounds are intimately associated as oxide-organic complexes making it often difficult to discern their individual roles. In general, the tendency of metals to react with mineral and organic components limits their solubility and hence bioavailability and toxicity. This type of solubility control is attributed to various surface-related mechanisms like cation exchange, specific adsorption to surface hydroxyl groups, co-precipitation, and multinuclear complex formation at the surface, or precipitation of discrete oxides or hydroxides. Organic matter contains various S-, O- and N-functional groups that strongly bind metals; hence, it can even act as a better adsorbent than Fe oxides and, thus, decrease metal bioavailability. Sorption rates on cell walls vary due to the large variety of chemical functional groups on the cell surface, which create a negatively charged surface. Also here, spectroscopic methods, like XAS (X-ray absorption spectroscopy) can be used to determine the chemical nature and the structure of different binding sites on the cell surface. In combination with solution chemistry, spectroscopic studies suggest that there may be a large number of mixed metal-ligand complexes with intermediate affinities between high and low affinity sites. Although representing only a small fraction of the total mass of soil, inorganic and organic colloids or coatings constitute a significant fraction of the surface available for interactions between soil solids and metals in solution. Robertson and Leckie (1998) used surface complexation modelling to mimic, predict and understand acid/base and metal binding properties of oxide surfaces. The obtained experimental adsorption data suggested the existence of multiple classes of Cu binding sites. In addition, crystallographic analysis indicated several types of surface hydroxyls on the crystal faces of goethite (a-FeOOH). From this, the authors summarize that Cu partitioning on goethite (as an example) is strongly pH-dependent but not consistent with a single-plane, single-site surface class system. The true situation is better described by assuming a second high-affinity Cu binding site with a low surface density suggesting sites located at steps, kinks etc. on the mineral surface (compare to section 5.4.7.2). Also Morton et al. 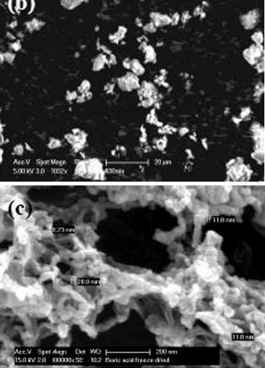 (2000) investigated the adsorption kinetics between Cu and surface hydroxyl sites on soil oxides and clay minerals. They assume that transition metals in general form strong inner-sphere complexes on these sites. It was shown that Cu, sorbed as surface complex on montmorillonite, y-alumina, ferrihydrate and geothite, was bioavailable. But with increasing concentration of surface sites, the bioavailability of Cu (expressed by the methane monooxygenase (MMO) activity in the methanotroph Methylosinus trichosporium OB3b) decreased again. In this context, still not much is known (in contrast to sediments) about how living cells bind and sequester trace metals in soils. As an example, a protein (the so-called Cu binding compound/cofactor CBC) with a strong Cu affinity, was found for methanotrophs (i. e. bacteria using methane as energy source). This protein seems to sequester Cu in a siderophore-like way, by which the metal binding ligand is excreted during cell growth and subsequently reinternalized. Due to its ability to sequester extracellular Cu, CBC is supposed to be a key factor in determining the bioavailability of different Cu forms in soils (see also chapter 6). It is well known that Fe oxides and organic matter coexist in soils and serve together as a reactive adsorbent pool for trace metals, due to their high surface area and their high reactivity associated with a variety of functional groups. Both groups of compounds are intimately associated as oxide-organic complexes making it often difficult to discern their individual roles (Martinez and McBride 1999). Generally spoken, the tendency of metals to react with mineral and organic components limits their solubility and hence bioavailability and toxicity. This type of solubility control is attributed to various surface-related mechanisms like cation exchange, specific adsorption to surface hydroxyl groups, coprecipitation, and multinuclear complex or mixed-cation hydroxide complex formation at the surface at higher loadings and pH, or precipitation of discrete oxides or hydroxides. Metal retention by ferric hydroxide has been found to decrease in the order: Pb > Cu >> Zn > Cd. Martinez and McBride (1999) showed that even when metals coprecipitate with Fe (hydr)oxides and are aged for a long time, residual solubilities for Cd, Cu and Zn remain still high enough to reach phytotoxicity or excessive plant uptake. Organic matter contains various S-, O- and N-functional groups that strongly bind metals. In their study, Martinez and McBride used X-ray absorption spectroscopy (XAS) and electron spin resonance (ESR) to demonstrate that Pb, Cu and Zn form inner-sphere complexes with soil humic substances, and that these metals coordinate with oxygen ligands, as well as with S-functional groups, as far as Zn is concerned. The observed increasing availability of metals in sewage sludge can be chiefly related to the decomposition of organic matter (see section 5.5.7 below). Soluble organic ligands resulting from the decomposition of organic matter, change metal speciation in solution and so their bioavailability and toxicity. They may coat reactive mineral adsorption site, inactivating them and therefor inhibit metal adsorption, but in turn sorb on mineral surfaces and generate new sorbing sites and increase metal retention. However, there is evidence that metal extractability and bioavailability remain constant after sludge application is terminated. In a study cited by Martinez and McBride (1999), it was shown that organic matter can even act as a better adsorbent as goethite at pH values between 5 and 5.5, in removing Cu from solution. It was further found by others (also cited by Martinez and McBride, 1999) that mineral-bound organic matter enhances the adsorption of Cu and Co at pH values < 6.5, and so decreases their solubility. However, at neutral pH values, more mineral components control metal solubility, while organic matter increases metal dissolution by forming soluble metal-organic complexes. Due to competition among multiple and mixed solid phases, it is very often difficult to asses what soil component is responsible for the long-term solubility control of metals in soils. In their study Martinez and McBride (1999) showed that the organic adsorbent they used (i. e. leaf compost) was very efficient in removing Zn and Cd. Another interesting approach to tackle the interaction between dissolved metals and biota (living cells) has been reported by Sarret et al. (1998), who studied Zn and Pb binding sites on the mold Penicillium chrysogonium by means of sorption experiments (isotherms) combined with EXAFS spectroscopy (see section 5.4.5). It is well recognized today that sorption rates on cell walls vary due to the large variety of functional groups on the cell surface, such as carboxyl (-COOH), aldehyde (-COH), hydroxyl (-CHOH), sulfhydryl (-SH), phosphoryl (-PO4H3), or amine (-NH2), which create a negatively charged surface. To determine the chemical nature and the structure of different binding sites on cell walls, the authors used 'X-ray absorption spectroscopy' (XAS), which has been increasingly used over the last 15 years to determine crystal chemical forms of metals in soils and sediments. Only recently these spectroscopic methods are also used to assess environmentally relevant metal species. By lowering detection limits by a factor of 5-10 below previous levels, these techniques can now help, according to the authors, to identify the nature of even the strongest complexing functional groups on algal cell walls, which otherwise would have been masked by the predominant contribution of high-density, low affinity sites. This was an "instrumental breakthrough" and adsorption isotherms obtained by Sarret et al. (1998) indicate that cell walls own at least two adsorption sites differing by concentration and affinity to Zn and Pb. The most abundant sites (95%) show a greater affinity for Zn and a lower one for Pb, whereas the less abundant sites reveal a low Zn affinity but a higher for Pb. sites. In addition, Zn and Pb adsorption isotherms differed at low Me2+ concentrations. It was further uncovered that Zn was overwhelmingly complexed by phosphoryl groups in a tetrahedral coordination from low to high concentrations, and to carboxyl groups close to saturation of the reactive surface sites, which is consistent with the interpretation of the adsorption isotherms. The high affinity Zn1 sites correspond to phosphoryl groups, while the Zn2 sites are supposed to be composed of carboxyl-Zn complexes with a lower stability formed at high Zn concentrations. Based on solution chemistry and the obtained EXAFS results, there seems to be a large number of mixed phosphoryl-Zn-carboxyl complexes of intermediate affinity between these 2 sites (Zn1 and Zn2), as also described thermodynamically by a continuous distribution of affinities. The performed EXAFS analysis also allowed to demonstrate that Pb was predominantly bound to cell walls by carboxyl (high affinity Pb1 sites) groups at very low concentrations and to phosphoryl (Pb2) at high concentrations. Summarizing the results for Pb, the authors explain that the minor COOH-surface ligands (5%) of the P. chrysogenum cell walls have a high affinity to Pb compared to the predominant PO4 ligands (95%). For this reason, Pb-COO complexes are preferentially formed at low Pb conccentrations, and the predominant PO4-Pb complexes at high Pb concentrations. These binding characteristics are also confirmed by the presence of 2 distinct plateaus on the adsorption isotherm, but are, as mentioned before, in contrast to the binding charcteristics for Zn, where COOH ligands reveal a relatively low affinity.